Consumers must pay their bills on time or within the 14 day grace period otherwise they risk having a black mark recorded on their credit history. Changes to the credit reporting system in Australia makes it is a lot easier for black marks to be recorded on your credit history. 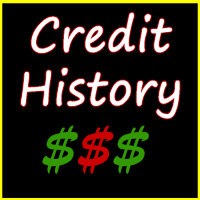 Your credit history is available to lending institutions, credit providers and certain service providers. It provides them with information about you, to enable them to assess whether to provide you with credit. Under changes to the credit reporting system in Australia, consumers must pay their bills on the due date, or within the 14 day grace period after the due date, or risk getting a black mark recorded against their name. The 14 day grace period was originally proposed to be 5 days, but following concerns from consumers was increased. So if you have been late to make a payment from as far back as December, 2012, you may find you already have accumulated a negative report. On a positive note – the new credit reporting laws mean that certain payments made on time such as credit and mortgage payments, will also be recorded on your credit history, which is aimed at providing potential lenders with a more balanced snapshot of a person’s credit history.